Tablet or powder? See which type tops our test. Don't waste your money on a dud detergent. We put them to the test on 6 stains, including egg yolk and baked-on cheese. Bottom line: This powder dishwasher detergent performs poorly overall but only costs 20¢ per wash. It's OK at removing minced-meat stains, but it's just OK at removing egg-yolk, red wine and coffee stains, poor at removing baked-on cheese stains and extremely poor at removing rice stains. Bottom line: This powder dishwasher detergent performs only just OK overall, but it only costs 16¢ per wash. It's good at removing red wine stains and OK at removing coffee and minced-meat stains, but it's just OK at removing egg-yolk stains and baked-on cheese stains, and extremely poor at removing rice stains. Bottom line: This powder dishwasher detergent performs only just OK overall, but it only costs 13¢ per wash. It's OK at removing red wine stains, but it's just OK at removing coffee stains and minced-meat stains, and poor at removing egg-yolk, rice and baked-on cheese stains. Bottom line: This tablet dishwasher detergent performs poorly overall and costs 45¢ per wash. It's OK at removing red wine stains, but it's just OK at removing coffee and minced-meat stains, poor at removing egg-yolk and baked-on cheese stains, and extremely poor at removing rice stains. Bottom line: This tablet dishwasher detergent performs well overall and costs 52¢ per wash. It's very good at removing egg-yolk, baked-on cheese and minced-meat stains, and OK at removing rice, red wine and coffee stains. Bottom line: This tablet dishwasher detergent performs poorly overall but only costs 13¢ per wash. It's just OK at removing red wine, coffee, and minced-meat stains, poor at removing baked-on cheese stains, and extremely poor at removing egg-yolk stains and rice stains. Bottom line: This tablet dishwasher detergent performs very well overall and costs 50¢ per wash. It's excellent at removing baked-on cheese stains, very good at removing egg-yolk and minced-meat stains, good at removing red wine and coffee stains, and OK at removing rice stains. Bottom line: This powder dishwasher detergent performs well overall and only costs 18¢ per wash. It's very good at removing minced-meat stains, good at removing baked-on cheese, red wine and coffee stains, and OK at removing egg-yolk and rice stains. Bottom line: This tablet dishwasher detergent performs OK overall and costs 64¢ per wash. It's OK at removing rice stains and minced-meat stains, but it's just OK at removing egg-yolk stains, baked-on cheese stains, red wine stains and coffee stains. Bottom line: This tablet dishwasher detergent performs well overall, but it’s expensive at 78¢ per wash. It's very good at removing egg-yolk and minced-meat stains, good at removing rice stains and baked-on cheese stains, and OK at removing red wine and coffee stains. Bottom line: This tablet dishwasher detergent performs OK overall and costs 47¢ per wash. It's good at removing rice stains and minced-meat stains, and OK at removing egg-yolk, baked-on cheese and coffee stains, but it's just OK at removing red wine stains. Bottom line: This tablet dishwasher detergent performs well overall and costs 47¢ per wash. It's excellent at removing baked-on cheese stains, very good at removing egg-yolk and minced-meat stains and good at removing rice stains, but it's just OK at removing red wine and coffee stains. Bottom line: This tablet dishwasher detergent performs well overall and costs 78¢ per wash. It's excellent at removing baked-on cheese stains, very good at removing egg-yolk and minced-meat stains and good at removing rice stains, but it's just OK at removing red wine stains and just OK at removing coffee stains. Plates are treated with egg yolk, starch, baked-on cheese, red wine, coffee and minced meat. We measure the amount of light reflected using a spectrophotometer. We then wash them using the manufacturer’s recommended dosage, putting each detergent through 4 test loads. We then measure the reflectance again to assess how much food residue/stains remains and compare it to the initial readings. We average the results for each type of stain across the 4 loads. Some products claim to contain rinse-aid or to be septic tank-safe. We’ve included these claims but haven’t tested them. Almost all tablets claim to contain rinse-aid. Powders don’t have rinse-aid as it needs to be released at a certain point of the wash, which is impossible with powders. If you’re using powder and your dishwasher has a rinse aid compartment, we suggest using rinse aid to avoid water spots on your dishes. You should always consult your septic tank manual or manufacturer before using a new dishwasher detergent. While tablets perform better than powders, this superior cleaning comes at a cost. The powders in our test cost between 13 and 36¢ a wash; while the cheapest tablet was also 13¢ a load, the most expensive is 78¢. When you’re standing in the supermarket aisle make sure to check how many tablets a pack contains to make sure you’re getting the best value for money. Water alone doesn’t clean dishes well, so what’s commonly in dishwasher detergents that makes them work? In 2007, a law change prohibited the sale of dishwasher detergents with a pH higher than 12.5. Before this change, dishwasher detergents might have done better job at cleaning, but they could also contain caustic ingredients, resulting in a high pH reading. None of the dishwasher detergents in our test has a pH above 11.1. These are popular “builders” used in dishwasher detergents. Builders increase the cleaning effect and help soften water, making it easier for surfactants to break down food particles. The Environmental Protection Authority (EPA) classes sodium carbonate as toxic if ingested or inhaled and an irritant to skin and eyes, while sodium silicate is toxic if ingested and corrosive to the skin and eyes. This is a common bleaching agent. It removes the colour of stains left by food and helps break down food particles. The EPA advises it is irritating to the eyes. These are surfactants, which lower the surface tension of the water helping lift food particles, such as grease, away from the dishes. They also help dry dishes and prevent water stains. Most AEs are toxic if swallowed and can irritate the skin and eyes. Some can also damage your eyes. These are common enzymes used to break down and remove starch and proteins in food. 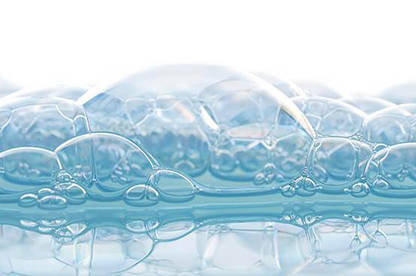 While some enzymes in dishwasher detergents aren’t dangerous if ingested, they can irritate the skin and eyes and affect the respiratory system if inhaled. This is often used to make the dissolvable wrapper on many tablets, so you don’t need to unwrap the tablet before putting it in the dishwasher. Automatic dishwasher detergents often contain corrosive alkaline salts and need to be used with care. These substances can cause chemical burns if eaten, left on the skin or if they get into your eyes. Detergents and cleaners are among the most common causes of inquiries to the centre about child exposures to hazardous substances. All the products we bought had safety warnings and first-aid information on the packaging. However, this was usually in smaller print on the back of the container. None had a warning on the front. We also found first-aid information varied widely between products. The National Poisons Centre's Lucy Shieffelbien says there's no harmonisation of first-aid advice. "Ideally, we would like to see manufacturers use the same advice that we give. Some manufacturers are very good and will actively seek our advice but most don’t," she says. It’s important to take care when using and storing household cleaners, especially around children. To limit the chances of a child accessing dishwasher detergent, don’t add detergent to your dishwasher until just before you turn it on. Make sure any un-dissolved detergent is cleaned off dishes and out of the machine once the wash is complete. And always store detergents in a locked or high cupboard. If dishwasher detergent is ingested, immediately call the National Poisons Centre (0800 POISON or 0800 764 766) for treatment advice. If the person has difficulty breathing or is unconscious, call an ambulance immediately. If swallowed: immediately rinse the mouth and remove any remaining powder, then give a small amount of water (a quarter to half a cup for a child, 1 to 2 cups for an adult) and seek medical advice. If the person is having difficulty breathing, keep them calm and help them into a position so that breathing is as easy as possible. Call an ambulance. If on skin: immediately flush the exposed area with lots of water and seek medical advice. Don’t leave the powder on the skin, even for a few minutes: it is corrosive and causes burns. If in eyes: immediately flush the eye with room-temperature water for at least 30 minutes and seek medical advice. Medical advice can be obtained from the National Poisons Centre, freephone 0800 764 766, or from your doctor. Of the six food stains we test, the hardest to remove is rice starch. Starch is a very sticky substance, hence why cornstarch is a key ingredient in homemade glue recipes. When it’s wet, the starch sits on the surface of the water, but as the water dries it hardens and sticks to the plate. Child-resistant packaging reduces the risk of children coming into contact with dishwasher detergent. However, no container is 100 percent "child proof". 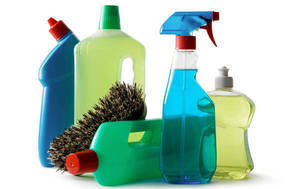 The Cleaning Products (Corrosive) Group Standard defines packaging as child resistant if 80 percent of children aged around 4 years would be unable to gain access to the contents, or would be unlikely to obtain a toxic dose within 5 minutes. Regardless of the packaging, dishwasher detergents need to be stored well out of the reach of children or in a locked cupboard. This includes dishwasher tablets. These tablets could be confused with sweets and shouldn't be left where children can get them. To reduce the risk of accidental exposure, only put detergent in the dishwasher when you're ready to start a wash. Make sure any residue is removed from the dispenser afterwards and close the door firmly. Burn injuries have occurred when children have swallowed detergent left in the dispenser. Phosphates used to be a fairly common ingredient in dishwasher detergents. They help remove food and grease and soften hard water. Unfortunately, phosphates are bad for the environment when washed away in waste water. They contribute to algal blooms and excessive weed growth, which depletes oxygen in the water and chokes waterways. Phosphates are being phased out as enzymes and surfactants can achieve similar results but without the environmental impact. Many dishwasher detergent manufacturers have reformulated to remove phosphates from their products. We’ve even seen the performance of some products improve with the change. However, just because there isn’t a “phosphate-free” claim on a package, doesn’t mean the detergent contains phosphates. As dishwasher detergents become increasingly phosphate-free, manufacturers are less likely to make this claim. If your dishwasher is producing too many bubbles or the tablet isn’t dissolving completely by the end of the wash, then you may have a water issue. Often this is because there isn’t enough water in the wash or the water isn’t hot enough. If you are using an “eco” or water-saving mode, then try using the detergent on a normal cycle. If you are using a powder, you can also try reducing the dosage amount. In some cases it may also be due to the hardness of the water, in which case check with the detergent manufacturer as to what to do. Not all dish drawers are recommended for use with tablets. A dish drawer is smaller than a standard dishwasher and they use less water, so there may be too much detergent in a tablet. Check your manual or with your dishwasher manufacturer to see if you can use tablets in your dish drawer.